Now that I have my new window booth space to keep full, I've been making more of an effort to frequent flea markets. 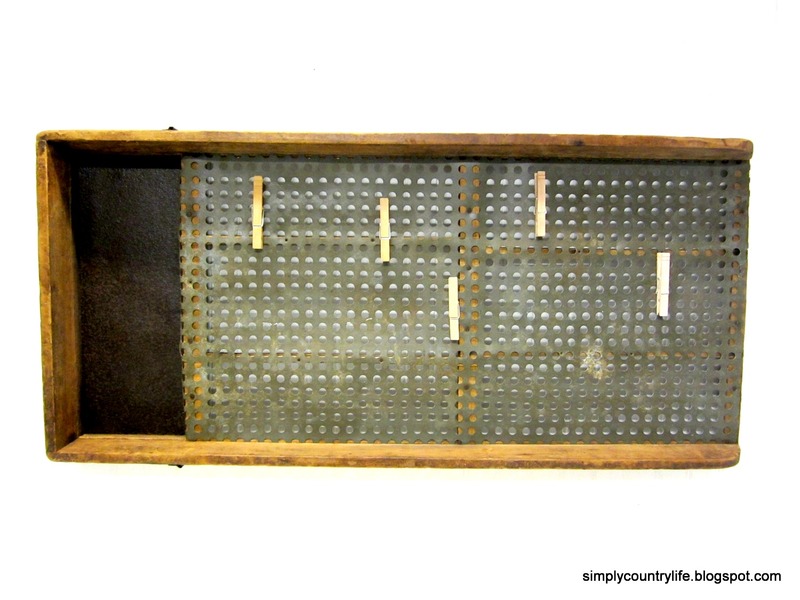 Recently, I found this cool vintage seed sorter. 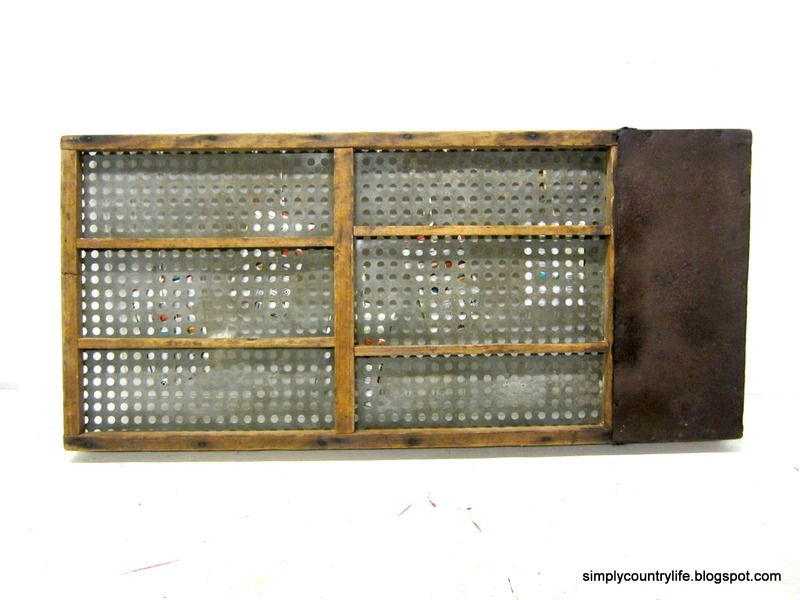 It is a perfect combination of weathered wood, rust and galvanized metal. As soon as I saw it I thought it would make a unique magnetic memo board. I hope I'm not the only person who didn't realize this, but galvanized metal/zinc is not magnetic. Now what? so that it would still function as a memo board. or it could be turned over and let the wood framework show. The clothespins can easily be moved. The rusty metal section is magnetic. At least a small portion of the memo board is magnetic! 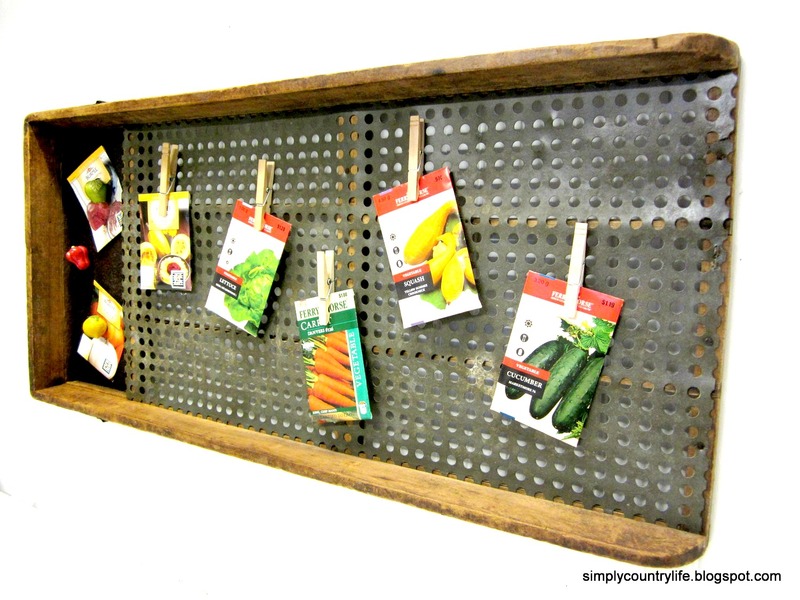 Hooks can be hung in the galvanized portion to hold small baskets too. I think it makes a great message board and it's different. 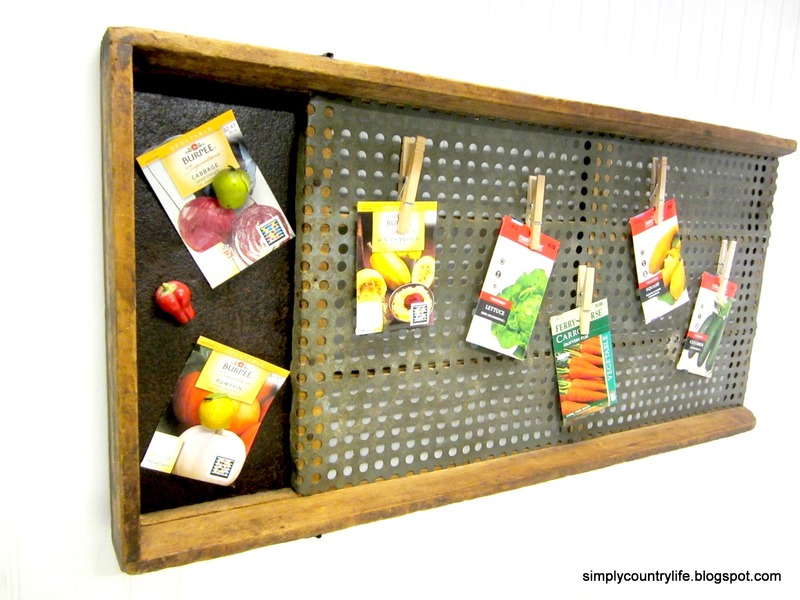 Are you a weathered wood and metal junkie, like me? 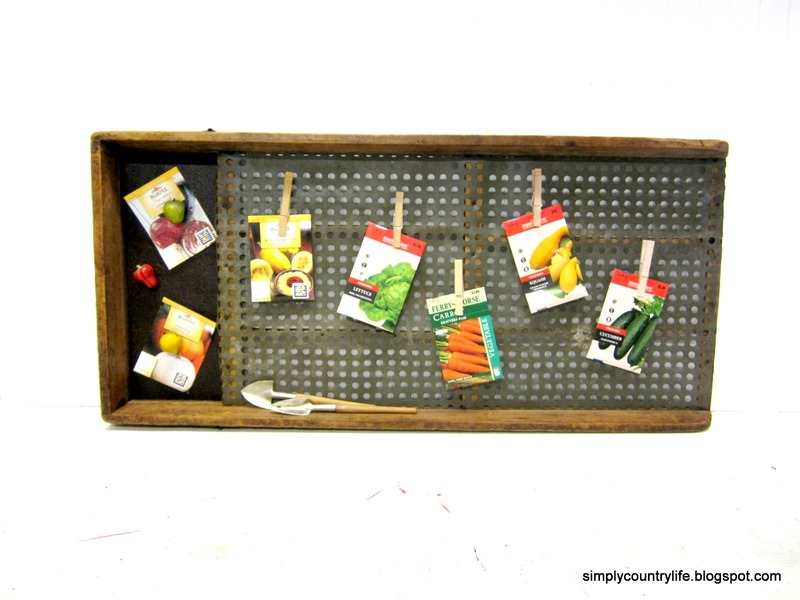 By the way, this one is listed in my Etsy shop, Simply Country Home.